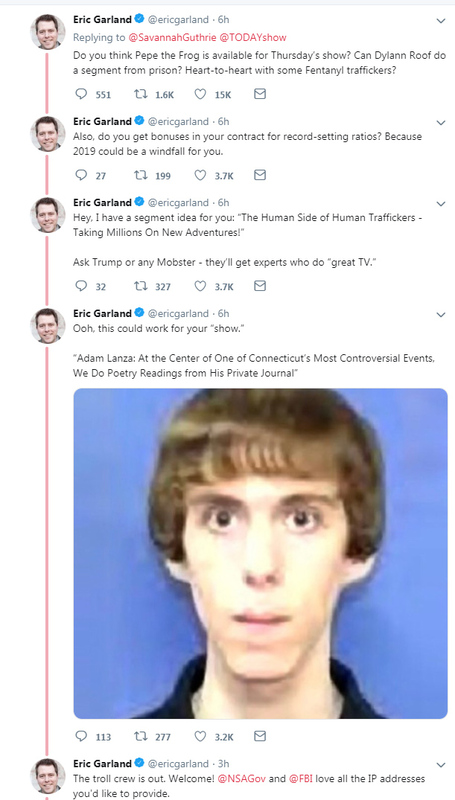 Twitter's most shameless bottom feeders united on Tuesday night to attack TODAY host Savannah Guthrie for sitting down to interview Nicholas Sandmann, whom they compared to Adam Lanza, Dylann Roof and Adolf Hitler. 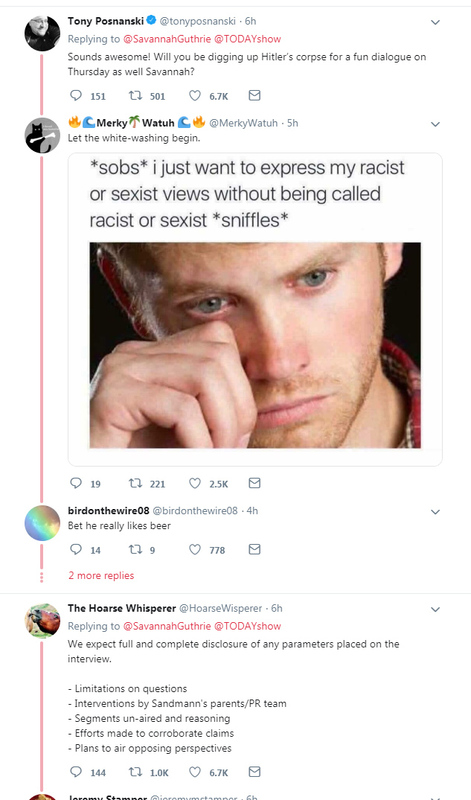 As you can see, the post got "ratioed" to hell, getting 36,000 responses compares to just 2,000 retweets and 8,300 likes. 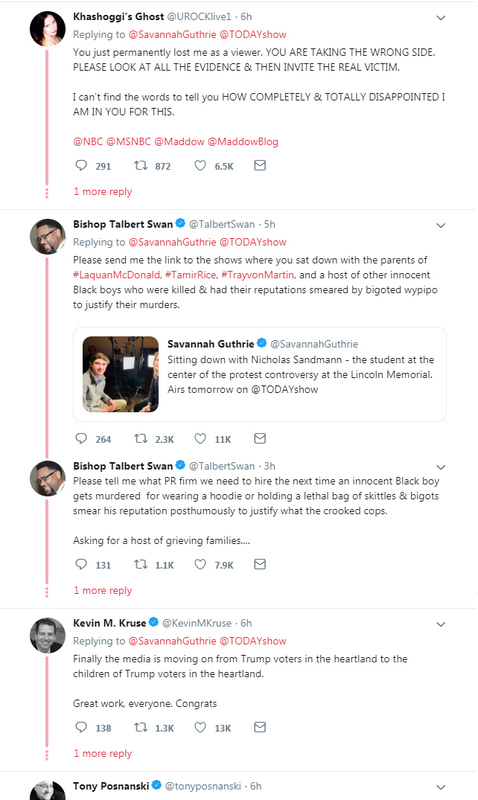 Continuing to treat them like little Klansmen, NBC Nightly News added to their disgusting coverage of the Covington Kids Tuesday night by taking repeated shots at them even though new video had vindicated them. And despite being a proven liar, the network allowed agitator Nathan Phillips to scold the kids and suggest they should be sentenced to “some kind of sensitivity training” or “cultural education." 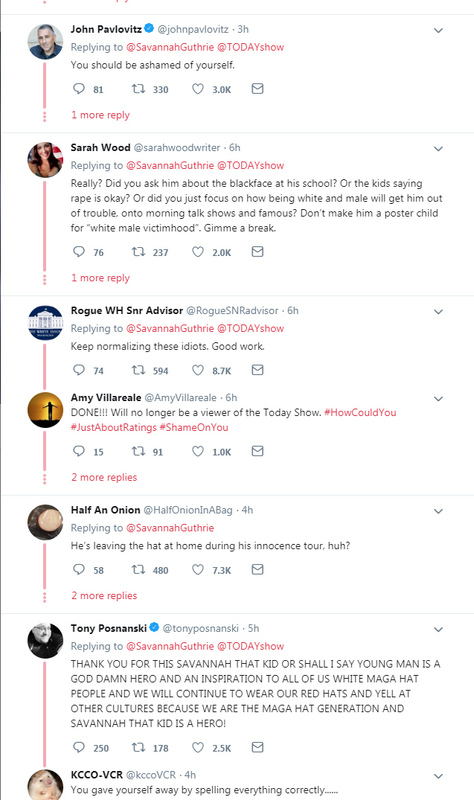 Anchor Lester Holt set the tone for the segment by declaring the incident “a flashpoint for race and politics in this country.” A statement divorced from the reality of the situation exposed via the full-length videos. 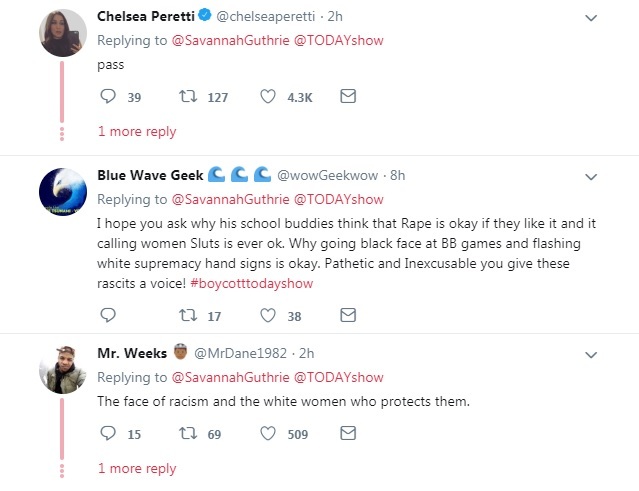 The segment hyped an exclusive interview set to air during Wednesday’s Today with co-host Savannah Guthrie assailing student Nick Sandmann and suggesting he was the problem. “Do you feel that you owe anybody an apology? Do you see your own fault in any way,” she demanded to know. “As far as standing there, I had every right to do so. I don't -- my position is that I was not disrespectful to Mr. Philips. I respect him. I'd like to talk to him. 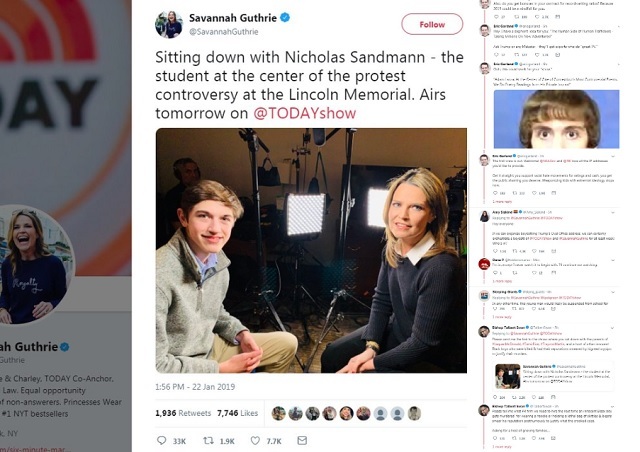 I mean, in hindsight I wish we could have walked away and avoided the whole thing,” Sandmann meekly responded. 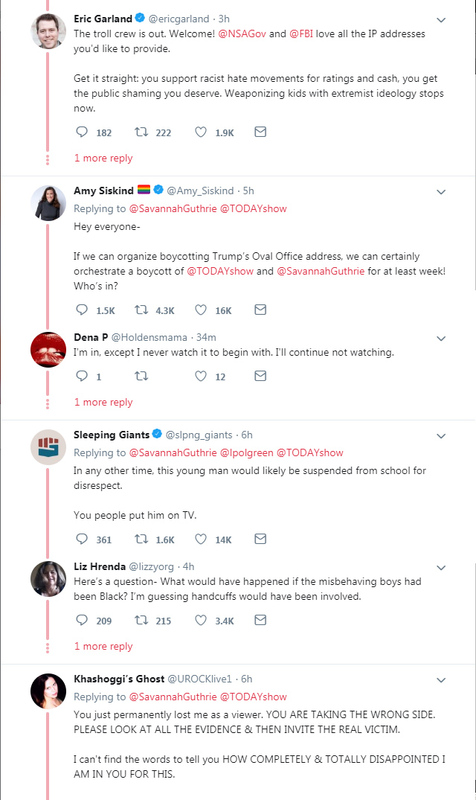 Kudos to Sandmann for refusing to apologize. Apologizing to these lunatics only empowers them. They are the ones who should be apologizing to us, their children, their parents, their relatives, their neighbors, America and God.